New Mexico has much to offer job seekers looking for a unique and rich setting. Four centuries of blending Spanish, Native American, and modern cultures has birthed a unique cuisine, architecture, and fine-arts culture that can be found only in New Mexico; and the expansive desert and undeveloped land is a playground to hikers and other lovers of the outdoors. While there are certainly challenges facing educators in New Mexico, there’s also a determination to turn the page and create new opportunities for New Mexico’s students. For those job seekers looking for a quality of life shaped by rich experiences, as well as a good educational challenge, New Mexico might be the right destination. What are the benefits of becoming a teacher in New Mexico? How do I become a teacher in New Mexico? There’s good news and bad news regarding the state of education in New Mexico. High-school graduation rates are only at 63 percent statewide. Poverty is certainly a factor in this; for example, 14 of the Santa Fe School District’s 25 schools (not including charter schools) have economically disadvantaged student populations of 65 percent or more. The good news is that New Mexico’s legislators and teaching community are committed to addressing the situation—and committed to addressing it early. In 2011, the state legislature passed the Early Childhood Care and Education Act (ECCEA), in order to create a comprehensive early childhood care and education system. Key elements of the legislation are an aligned plan to ensure statewide coordination, and the formation of four implementation teams to work together in developing the system. These teams will respectively oversee data systems and outcomes, school readiness, quality standards, and funding strategies. 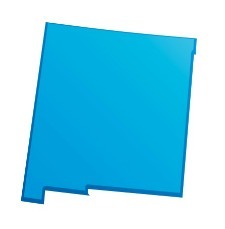 New Mexico received a waiver from the No Child Left Behind Act in 2012. This flexibility allows New Mexico to create an accountability system that will reward high-performing schools, as well as schools that are making significant educational gains; the state will simultaneously develop plans to improve underperforming schools and student subgroups. New Mexico also recently joined with 45 other states to adopt Common Core State Standards, in order to develop benchmarks for teachers and students. New Mexico’s version of these standards will be phased in and fully implemented by 2015. The U.S. Department of Education notes teacher shortages across the state. New Mexico is in need of ESL and TESOL instructors, as well as elementary teachers. At the middle and secondary levels, math, language arts, and science teachers are in demand. Special education teachers are needed at every grade level as well. The population of New Mexico increased by 13.4 percent between 2000 and 2010—a somewhat faster rate than the national average of 9.7 percent. The U.S. Bureau of Labor Statistics (BLS) also forecasts a high number of elementary and secondary teacher retirements between now and 2020. Also according to the BLS, school enrollment is expected to increase throughout the Southwest during the same time period. All these statistics suggest that there will be growing employment opportunities for New Mexico teachers in the years to come. Benefit packages vary by school district, but most provide health care plans for their teachers, including dental, emergency care, prescription drug plans, and sometimes eye care. For example, the Albuquerque School District provides its teachers with access to health and disability insurance, as well as 401K/403B and pension plans. Retirement benefits are managed by the New Mexico Education Retirement Board. Teachers are eligible to retire when either their age plus earned service add up to 75 years; they reach age 65 with at least five years of earned service; or they have earned service credit and allowed service credit totaling 25 or more years. Teachers may receive additional benefits by joining the various teaching organizations (see below: Teaching Associations in New Mexico) available in New Mexico. Teacher organizations campaign on behalf of teachers to make state legislators and lawmakers aware of the particular needs of their constituents. The Education Association of New Mexico is the state affiliate of the National Education Association; as such, it’s the largest teaching association in the state. Membership gives teachers access to discounts on insurance programs and other money-saving opportunities. Other teaching associations offer additional insurance programs, as well as a variety of professional development opportunities. For example, most of these organizations offer annual meetings that provide opportunities for networking, training, and exposure to new teaching techniques. Most associations also offer professional teaching journals that keep their members abreast on trends in education, as well as legislation that impacts teachers. Before a potential teacher can be hired in New Mexico, he or she must first earn teacher certification in the state. You’ll be expected to have at least a bachelor’s degree from a regionally accredited college or university offering an approved teacher-preparation program. New Mexico also has an extensive program that allows teachers to earn teaching certification through alternative licensure paths, thus accommodating potential teachers who haven’t been formally prepared. Teachers may also increase their marketability in New Mexico by pursuing certification in Native American Culture and Language. For more information on teacher certification, in addition to links and advice regarding documents, the certification process, teacher-preparation programs, and contact information, visit the New Mexico teaching certification website.